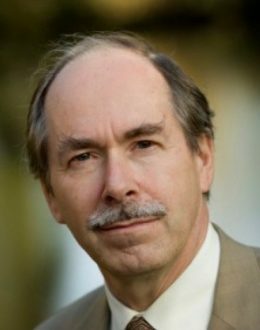 Gerardus (Gerard) ‚t Hooft (born July 5, 1946) is a Dutch theoretical physicist and professor at Utrecht University, the Netherlands. He shared the 1999 Nobel Prize in Physics with his thesis advisor Martinus J. G. Veltman „for elucidating the quantum structure of electroweak interactions”. His work concentrates on gauge theory, black holes, quantum gravity and fundamental aspects of quantum mechanics. His contributions to physics include a proof that gauge theories are renormalizable, dimensional regularization, and the holographic principle. In 1976, he was invited for a guest position at Stanford and a position at Harvard as Morris Loeb lecturer. On July 1, 2011 he was appointed distinguished professor by Utrecht University. In 1981, he was awarded the Wolf Prize, possibly the most prestigious prize in physics after the Nobel prize. Five years later he received the Lorentz Medal, awarded every four years in recognition of the most important contributions in theoretical physics. In 1995, he was one of the first recipients of the Spinozapremie, the highest award available to scientists in the Netherlands. In the same year he was also honored with a Franklin Medal. Since his Nobel Prize, ‚t Hooft has received a slew of awards, honorary doctorates and honorary professorships. He was knighted commander in the Order of the Netherlands Lion, and officer in the French Legion of Honor. The asteroid 9491 Thooft has been named in his honor, and he has written a constitution for its future inhabitants. He is a member of the Royal Netherlands Academy of Arts and Sciences (KNAW), where he was made academy professor in 2003. He is also a foreign member of many other science academies, including the French Académie des Sciences, the American National Academy of Sciences and American Academy of Arts and Sciences and the Britain and Ireland based Institute of Physics.